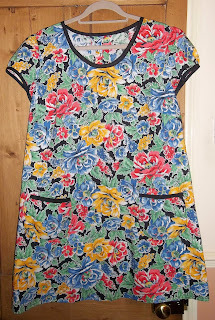 In October 2014, I had some sewing lessons to help my confidence, and made lots of interesting things, including a tunic dress (the Kate pattern from Sew Me Something) and I used some vintage material - see the photo above. I really liked it and made several others in different material. While I wore the original, somehow the others just didn't feel comfortable around the shoulders and under the sleeves, so they languished. The pattern has to be loose as there are no fastenings, but the shoulders were a bit too wide for me. 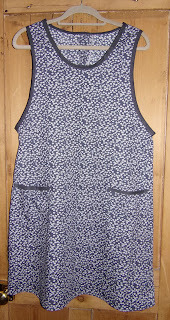 However, I bought the Beatrice pinafore pattern and when it arrived, having had a good look at it, I realised that I could take the sleeves off the tunics (using the Beatrice pattern to help me), bind the edges and wear them as pinafores with a long sleeved t-shirt and leggings. So that's what I did! 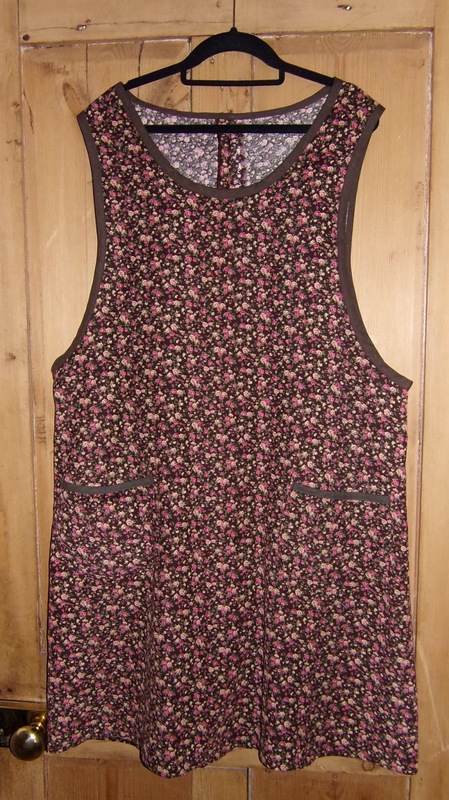 I now have several pinafores ready to go - I love this flowery material as it makes me smile. 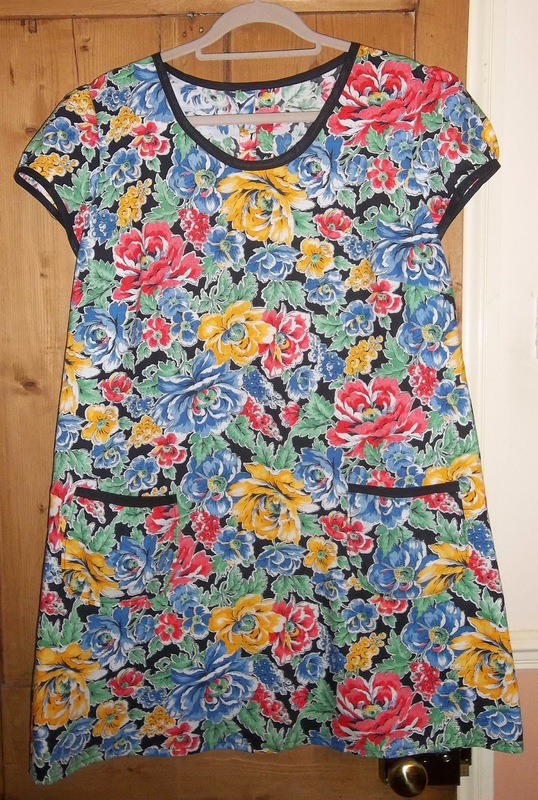 This was a 'ditsy' floral print bought from a vintage fair. This one was floral baby cord and I have worn it quite a bit, including to work. 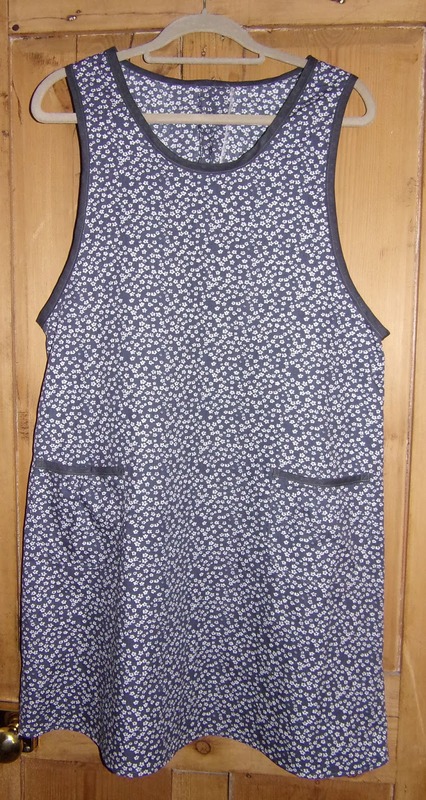 This white and grey floral will be great as I can put pretty much any coloured top under it. 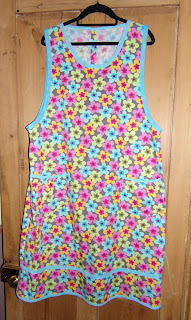 I have since bought some green floral material and am going to challenge myself by creating my own bias binding. Thanks, EC. 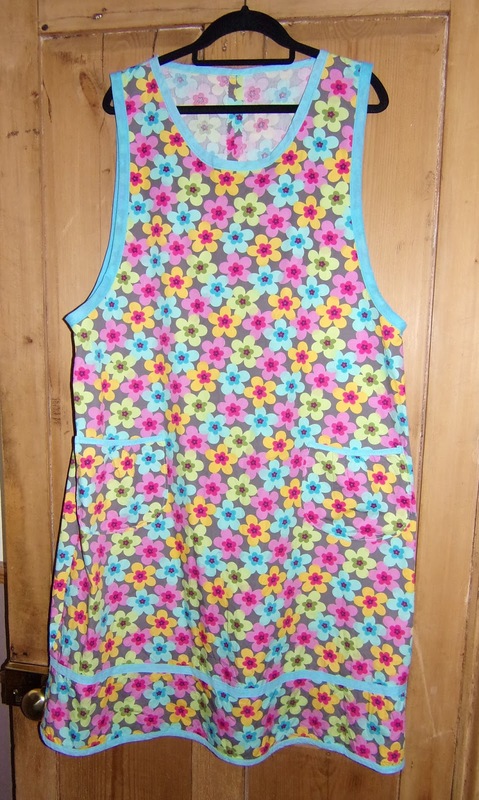 I am a little concerned that my wardrobe will be overflowing with these dresses soon, but at least I'll wear them now! Thanks, Betty. 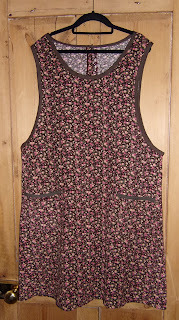 I am really pleased with the way these pinafores turned out (eventually!). They are much easier to wear now. Thanks, Debbie. These represent over a year's work in progress - it just took me a while to realise how to make them easier to wear. I have enjoyed making them. Thanks, Mirjam. It took me quite a while to decide what to do, but it has made a big difference and I do actually wear them now! i love them. 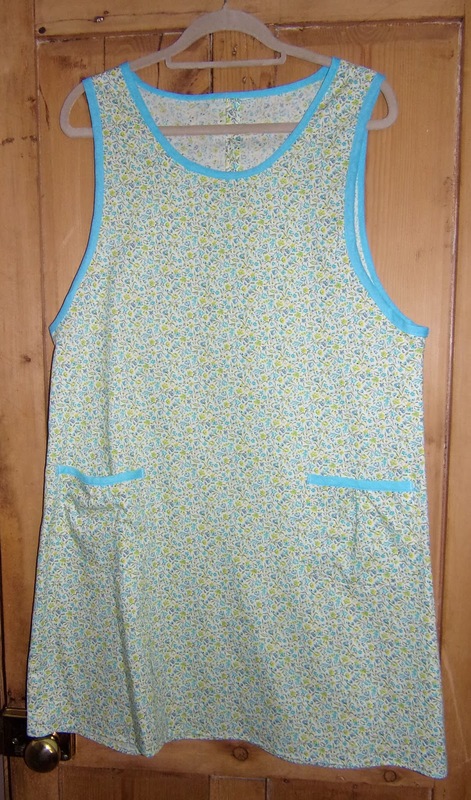 One of my favourite patterns is the Dotty Angel dress. 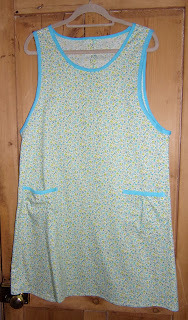 Apart from pj pants, I've sewn little for 2 months, but don't need a lot of items at the moment. Thanks, Kimberley. I enjoy wearing them much more now they have been adapted. I have the Dottie Angel pattern but haven't yet attempted it! I really like the ones you made. I am going to attempt a 1950s dress soon...wish me luck!